You have ten days left, and even that’s optimistic. More like nine, not to mention you’re probably working a lot of those days, then once you’ve bought all the presents you’ve got to wrap them and get them to the people who they’re for. How are you going to enjoy your oversized meal and collection of things you’ll receive with varying degrees of appreciation if you’ve only just unburdened yourself of the social obligations? You’re exhausted, you’re unfulfilled because you bought everyone the same Mars Bar to share. Dixit is a simple game which features wonderful little bunny rabbits as the characters that represent you, the player. As you hop and jump through a magical dream-world like state, your goal in this beautiful game is to get to the number 30. Why 30? I dunno, something to do with you getting 30 points and winning the game or something. This was the worst thing we could do to this sweet, innocent game. Don’t judge us. We were possibly a little bit drunk. It’s a deceptively simple and all around adorable game. Each player is given 6 cards, each of which have nice large illustrations on them. The purpose of the game is to tell a story or to describe your picture in a way that some people get it, but not everyone. Once you’ve described your card, you place it face down around the board and the other players put down a card that they feel is similar to what you said. These get shuffled up, the story is generally repeated and then the cards are placed face up so people can see the cards around the board. Once all is said and done, the players must then decide which card was the story tellers card. The game can be played between 3 to 12 players, but I’d say it’s recommended with at least 6 players. If you have more than that, you are required to vote for 2 cards, yet if you have 6 – You have a bigger range of cards to choose from and you basically have a 1 in 6 chance of getting the answer right. In a game with just 3 people, it’s quite easy to guess which card belongs to the story teller, but this is down to the creativity of the story teller in general. I first played my new set of Dixit Odyssey in our recent Taunton meetup. We were playing this game after a good number of us had consumed a reasonable amount of alcohol, which really made some of our descriptions of our cards quite warped in a fun and friendly way. The most amazing thing is, we played this game right after we had played Cards Against Humanity. As such, we expected we’d have made all of the lovely pictures out to be a lot worse than what they are – but we didn’t. Dixit truly is a beautiful game which allows people to be creative without the need of being obscene. Each player is given a voting card, which has 12 holes in it. 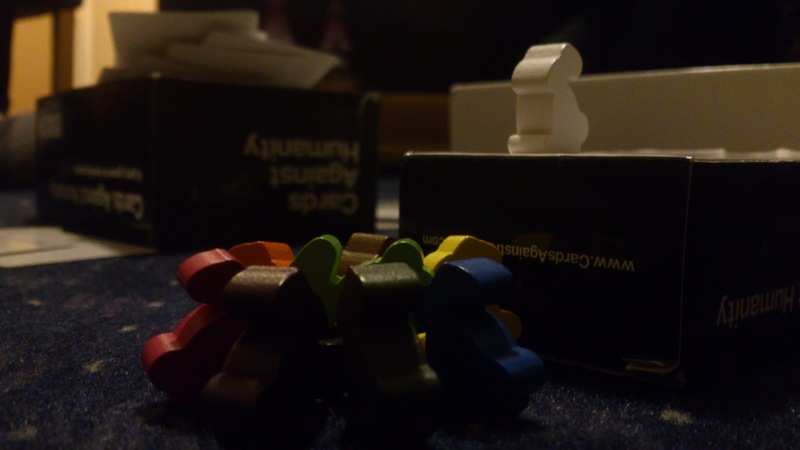 Players then also get either 1 voting peg (for up to 6 players) or 2 voting pegs (between 6 to 12 players). Scoring is quite simple too: If some (but not all) of the players guess the storytellers card correctly: the story teller gets 3 points. If everyone guesses the storytellers card correctly, then everyone except for the storyteller gets 2 points. If no one guesses the storytellers card correctly, then again everyone except for the storyteller gets 2 points. Players also score an additional 1 point for each other player that voted for their card, rather than the storytellers. It’s simple, it’s cute and it’s really not too expensive brand new if you buy it from Amazon or eBay. If you’ve played the standard Dixit before, then Odyssey might be somewhat disappointing to you, as it is basically the exact same game. 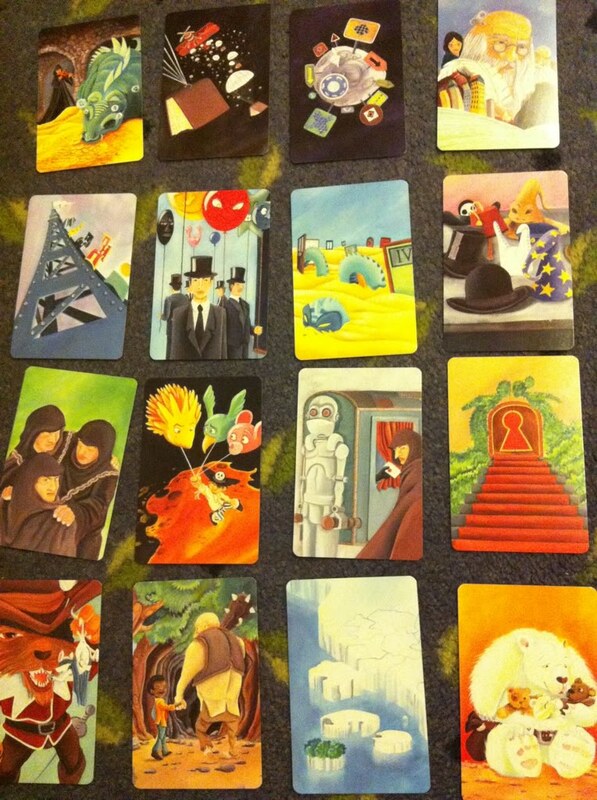 There are a few basic variations to the rules, which is easily replicated over to the standard Dixit game. The only thing that isn’t so easy is the fact it has 12 voting cards unlike the normal Dixit. But with the amount of cards you get in Odyssey, you will quickly run through them all and start reusing cards. It might be worth investing in the expansions, but these can go for an extra £10-£15 a piece! 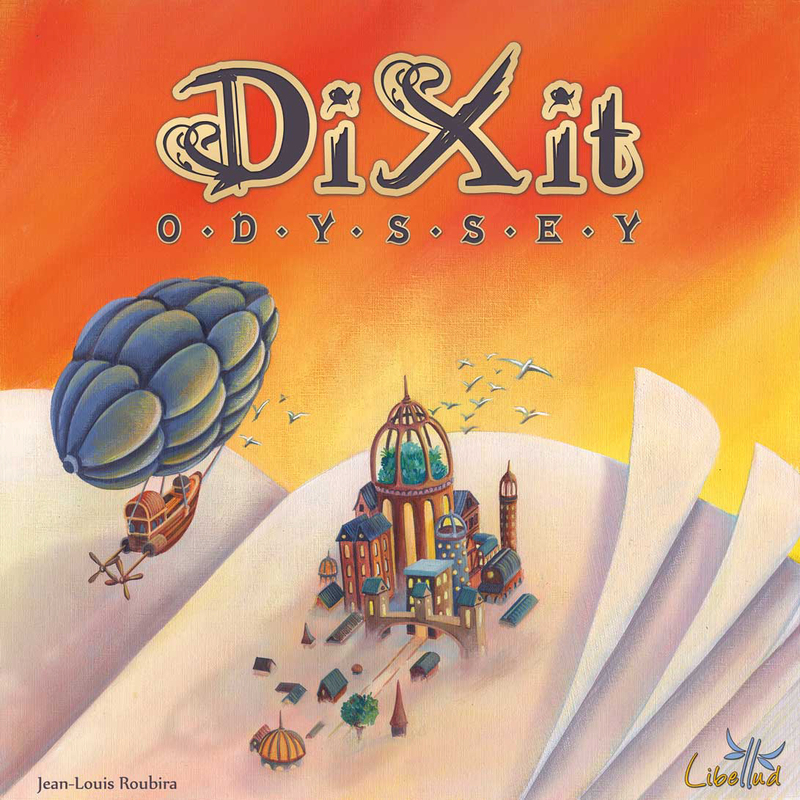 Have you ever played Dixit before or Dixit Odyssey? What did you think of the rather dream-like qualities of the game? Have you ever been able to make one of the most magically innocent games into something warped!? If so, shame on you – but tell us your stories below! This week has been a slower, quieter week once again however it’s one of these weeks that happened to give away news about something pretty major. 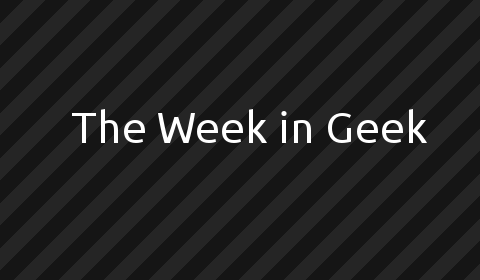 We’re back once again Jedi’s, for another of our weekly issues of The Week in Geek.